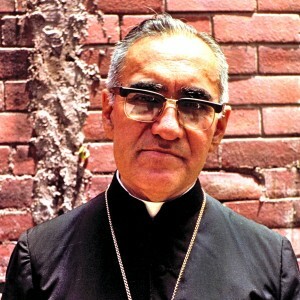 Pope Francis has declared Oscar Romero, the martyred Archbishop of San Salvador, and Pope Paul VI, the pontiff of the 1960s and 1970s, to be saints. In a Mass in St Peter’s Square, Rome, the Holy Father also canonised Francesco Spinelli, Vincenzo Romano, Maria Caterina Kasper, Nazaria Ignazia of Saint Teresa of Jesus, and Nunzio Sulprizio. “All these saints, in different contexts, put today’s word into practice in their lives, without lukewarmness, without calculation, with the passion to risk everything and to leave it all,” said Pope Francis. St Oscar was killed by a single bullet fired from an assassin’s gun on March 24 1980 while he celebrated Mass in the chapel of the San Salvador cancer hospital where he lived. A day earlier, he had preached a homily in which he urged soldiers to heed God’s law and to refuse to take part in repressive actions against the poor of El Salvador. 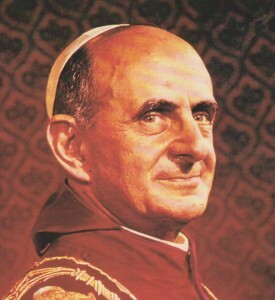 St Paul VI oversaw the reforms of the Catholic Church of the Second Vatican Council. He was a pioneer of the New Evangelisation and in 1968 also issued Humanae Vitae, the encyclical that forbade married couples from using contraception. Pope Francis said that like St Paul the Apostle, Paul VI “spent his life for Christ’s Gospel, crossing new boundaries and becoming its witness in proclamation and in dialogue, a prophet of a Church turned outwards, looking to those far away and taking care of the poor”. He said: “Even in the midst of tiredness and misunderstanding, Paul VI bore witness in a passionate way to the beauty and the joy of following Christ totally.